A hard-wearing planchest can be essential to your business. They are a diverse storage option for important documents, small tools and more. More and more office spaces and other workplaces in the UK are using these premium storage solutions to provide high levels of practicality and security. Here at Pennington’s, we are proud to deliver a wide range of steel planchests across the country for all kinds of businesses. With multiple smooth sliding drawers and the ability to lock each slot individually, these pieces of furniture offer unbeatable levels of practical security for important plans and other essential equipment. At Pennington’s, we are proud to offer a range of second-hand steel planchests. 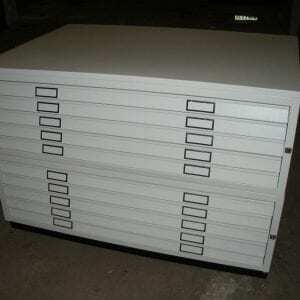 These steel planchests are of the absolute highest-quality and are designed to offer incredible security for your important plans and documents. For more information on our variety of industry-leading, second-hand office equipment, including used planchests, don’t hesitate to get in touch with our team today. You can reach our second-hand furniture specialists today by calling us up on 0800 688 9018. 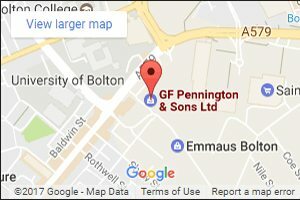 If you prefer, you can email our team directly at sales@gfpennington.co.uk and we’ll get back to you as soon as we can.